The story of a Corner Brook, N.L., newsprint mill worker who unleashed her fury at managers in a Facebook post is being cited as a cautionary tale for disgruntled workers who vent on social media. 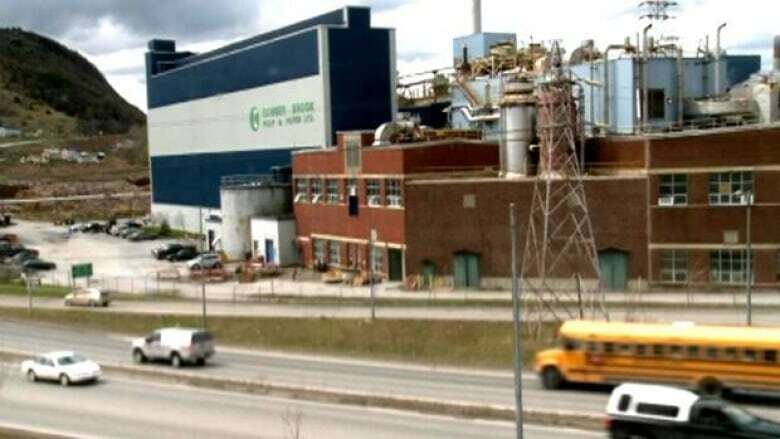 The woman, a 13-year veteran of Corner Brook Pulp and Paper, was fired after she posted a Facebook status that attacked specific managers at the newsprint mill. The employee and her union took her dismissal to arbitration, but lost in a decision brought down last month. The case was cited in a labour relations blog published by the law firm Stewart McKelvey, which emphasized that an offensive and threatening Facebook post can provide just cause for a dismissal. Arbitrator James Oakley ruled the woman knew what she was doing when she posted an angry, and lengthy, note to her Facebook account to express her frustrations over what she saw as a tardy response to a safety incident at the mill. The worker had been asked in September 2012 to clean an area of the mill with spraying water, but a piece of a papermaking machine arced and she complained that she could have been electrocuted. The company maintained that she had not followed instructions on where to spray the water. Unhappy with how management responded to her concerns, she turned to Facebook about how she "barely escaped death," and that her employer was more concerned about its equipment than the welfare of workers. "Because here, with these half retarded baymen management they think it’s cheap...er to replace the employee than the equipment," she wrote. Naming two supervisors, she continued, "Be sure you KNOW, I won’t stop until You draw a welfare check or are behind bars... Lets see how insignificant you feel when you Got a rope around ur neck and ur balls soaking in gasoline." The woman did not stop there. "Lucky for you I am still alive. Unlucky for you that I know what happened and when i see you now, you know u better run. F*****g stupid retarded half French bayman. that’s what you get when you put little boys in big boy jobs." At the time that she made the post, Corner Brook Pulp and Paper was investigating the spraying incident. The details of the post, though, were shared and caught the company's attention. In his arbitration ruling, Oakley determined that the woman did not apologize for the post, and indeed at one meeting asked, "Who's the rat?" Oakley noted that she did not actually apologize for her remarks — which she also said she could not remember writing — until the arbitration hearing. "The posting had a significant effect on [the supervisors]," Oakley said. "No manager should be subjected to this type of conduct. The fact the managers filed a complaint with the police indicated their concern and fear." The woman told the hearing that she had been suffering from stress and had been taking antidepressants, and that her comments were the act of someone who was "crazy and delusional." But Oakley determined that she was in control of her words. "Although extremely offensive, the posting was well structured and indicates an organized writing process," Oakley wrote. In Stewart McKelvey's blog on human relations law, lawyer Ruth Trask notes there is a dearth of material to help employers deal with troubling posts on social media. "While the number of Canadian decisions involving discipline for objectionable social media statements is growing, the number providing guidance as to when discipline in the form of discharge is appropriate can be counted on one hand," Trask wrote. She added: "This case is a reminder that some opinions expressed by employees are so fundamentally wrong that discharge may be the only resort."